New Years Day is traditionally the day when people make resolutions that can improve their lives. Can I make a suggestion? JOIN PITCA, the national organization for pressing iron and trivet collectors! Living in the midwest (where most annual meetings are held) is not a prerequisite; we have members from all over the United States and the world. About 50% of our members attend meetings while the other 50% benefit from PITCA by reading the quarterly Pressing News and accessing the online member benefits. 1. Meet and network with other collectors around the USA and world. 2. Learn more about irons, trivets and other laundry collectibles. 3. Protect your investment while promoting your hobby. 4. Receive the Pressing News 4x a year. 5. Gain access to the Members Only area of the PITCA website. 6. Borrow items by mail from the extensive PITCA Lending Library. 7. Have the opportunity to attend regional PITCA group meetings. 8. Be notified of upcoming auctions and private sales. 9. Attend the yearly PITCA national convention. My Trivet Display at the 2016 PITCA Convention in Columbus, Ohio. Of course, the greatest benefit of all is the ability to network with fellow collectors. Be honest; how many triveteers reside in you local community? Our hobby can easily become a solitary pursuit; it’s much more fun to get together with others who share similar interests. As a member you’ll gain access to the Members Only section of our PITCA website. That’s where the current and back issues (September 2014 to present) of the Pressing News are located. PITCA also maintains an extensive Lending Library with hundreds of magazines, books, catalogs and company advertisement available to check out by mail. We have a Discussion Forum and a forum to Buy-Sell-Trade. And the PITCA Club Directory is organized both alphabetically and by state/country for ease in locating and contacting other members. Membership also means you’ll be kept updated on all preparations leading up to the 34th Annual PITCA Convention in Pittsburgh, Pennsylvania on July 13 & 14, 2018. This year there will be TWO special opportunities to examine and purchase a variety of quality irons and trivets. ● The collection of longtime PITCA member Mary Balestri will be auctioned by Hartzell’s Auction Gallery on July 12th, 2018. ● A special donation of irons and trivets has been obtained from Steven Politzer, son of the late Frank & Judy Politzer, authors of two books on little irons and trivets: Tuesday’s Children and Early Tuesday Morning. The Politzer items will be sold during the PITCA convention. Most members arrive a few days early for the pre-convention auction and to join an organized tour in the host city. The image above shows member touring the Columbus (Ohio) Washboard Company in 2016. Activities during a typical convention include informative presentations, elaborate displays set up by members, and the opportunity to participate in our annual buy & sell. A hospitality room provides a comfortable place to enjoy refreshments and relax with other members; and dinner is served both evenings. In conclusion, please join me in learning more about trivets, irons and other laundry day collectibles and in promoting trivet collecting! Click Here for more information on joining PITCA. And you’ll find lots of information at our PITCA website at www.pressingironandtrivetcollectors.com. You won’t meet friendlier, more knowledgeable folks anywhere. Join PITCA and get involved! 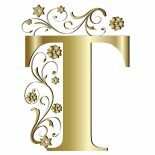 This entry was posted on January 1, 2018 by Lynn Rosack in Auctions and Sales, Organizations, Toy Trivets & Irons and tagged Pittsburgh PA.